New York is famous for bagels. I know you can find them anywhere today, but there is nothing like a true New York bagel shop. I like Ess A Bagel on the east side of 3rd Ave. between 50th and 51st (They also have another store on 1st Ave. on the Lower East Side). I don’t think they’ve changed anything in the store since it opened in 1974. There is always a line but it moves fairly quickly. If you just want and bagel, cream cheese and coffee, you skip the line and go to the counter at the back of the store. However, that means that you are passing up different kinds of flavored cream cheese, chopped liver, smoked salmon and assorted other goodies. Most importantly, you have to get in line if you want your bagel toasted, and, as we all know, that is a requirement. Eat there or get a take out and walk a few blocks up to Central Park. 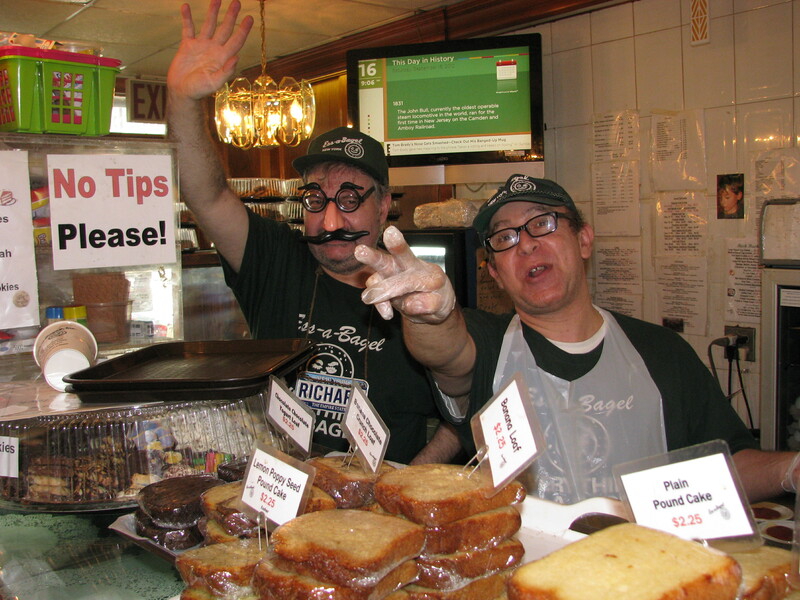 There are many more bagel shops and any New Yorker will have his or her favorite. The important thing is to have the experience. I think this sandwich was invented in New York although there are some New Jersey folks that mumble something about the subject. I can never really understand these guys so I’m not sure what they are on about. My favorite place for a hot corned beef sandwich is Roxy’s Deli on the west side of Times Square between 45th and 46th. Like Ess A Bagel, I don’t think Roxy’s has changed in 50 years. Some of the same waiters are still there from opening day wearing the same Yankees hat. Roxy’s sandwich is piled so high with thinly sliced, hot corned beef that you will have trouble eating it as a sandwich. That’s okay – open it up, slather with mustard and eat part of it with your fork; then finish it off as a sandwich. If you want to step outside the box, you can also try their hot pastrami sandwich, equally classic and very good. You can’t visit New York without having cheesecake and the easiest thing to do is order it at Roxy’s after you finish the corned beef sandwich. 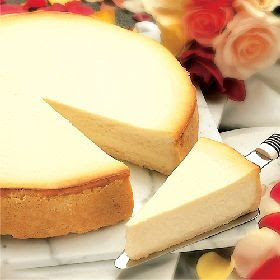 There is something moist and creamy and light about a good New York cheesecake that is hard to beat. Take a look at the size of the cakes in the glass counter at the entrance to the deli. You can order a whole one if you want. New York has a plethora of old, classic bars and the residents fill these up at cocktail hour like clockwork. Some of these haven’t changed in a hundred years and they all have amazingly good and reasonably priced food in addition to the liquid fare. New Yorkers support their bars with the same zest as they support their sports teams (and they have some good ones – the Yankees, Mets, Giants, Jets, Knicks and Rangers). Even though it is relatively new, one of my favorites is the Heartland Brewing Company, located on the west side of Union Square between 16th and 17th Aves. They took over an older bar so the ambiance is appropriate. Try the pulled pork sandwich or their specialty burgers. They brew their own beer and offer samplers. The house wines are also a pleasant surprise. New York has some of the finest restaurants in the world. Actually, New York has most of the finest restaurants in the world. Aside from the French, who are a world unto themselves, I know of no famous chef who has not started or ended in New York. For the great ones, it is “de rigueur”. So, forget the budget for a moment and tell yourself that you need to try one of the city’s great eating establishments. Since I am hooked on the classics when I cook, I have to go with a true New York classic restaurant – The 21 Club – located on 52nd St. between 5th and 6th Aves. This restaurant has been around for 90 years. My father first took me there in 1964. I took three of my girls there in the 90’s – they were teens and ordered hamburgers, much to my embarrassment. The waiter quickly responded that they had ordered one of the signature dishes of the club. Wow, just goes to show ya! The 21 Club is but one in a cast of thousands, but you won’t be disappointed. The first version of the club opened in Greenwich Village in 1922, run by cousins Jack Kreindler and Charlie Berns. It was originally a small speakeasy known as the Red Head. In 1925 the location was moved to a basement on Washington Place and its name was changed to Frontón. The following year it moved uptown to 42 West 49th Street, changed its name to the Puncheon Club, and became much more exclusive. In 1929, to make way for the construction of Rockefeller Center, the club moved to its current location and changed its name to “Jack and Charlie’s 21”. Since you will be spending a great deal of time eating in New York, you will need exercise. The easiest thing is to walk. Manhattan is laid out on a grid so you cannot get lost – (although there were these two guys from Indiana …) and even though someplace sounds far away, it’s really closer than you think – remember that 10 blocks of Avenues or 20 blocks of Streets equals one mile. Here are my favorite things to do if you have two days to spend. You’ll see that I have included plenty of walking and all of my favorite food events. This is one of the best parks in the world and worth at least two hours of walking, even though that will just give you a taste of the park. I suggest that you start early in the morning and go to Ess A Bagel and get a take out. Don’t forget the chopped liver. 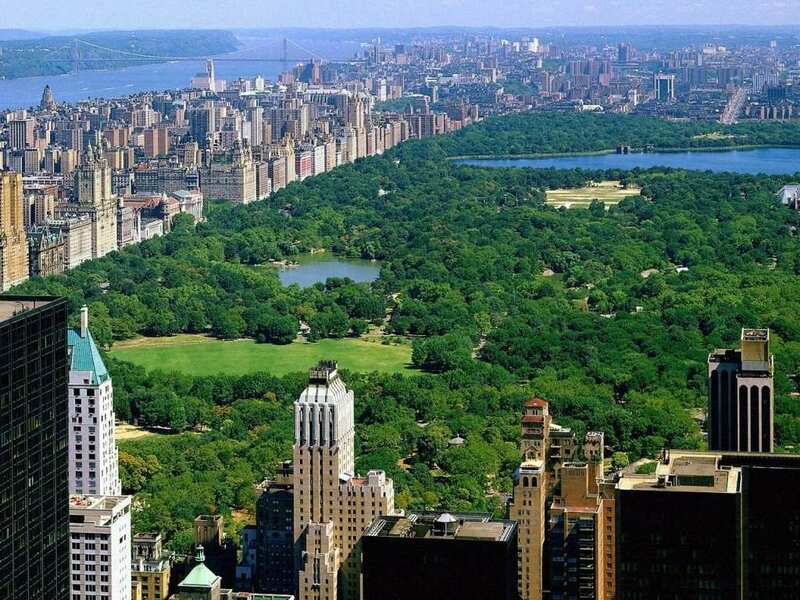 Enter the park at the southeast corner by the Plaza Hotel – 57th St. and 5th Ave. – find a nice spot and have breakfast and then do your walk. 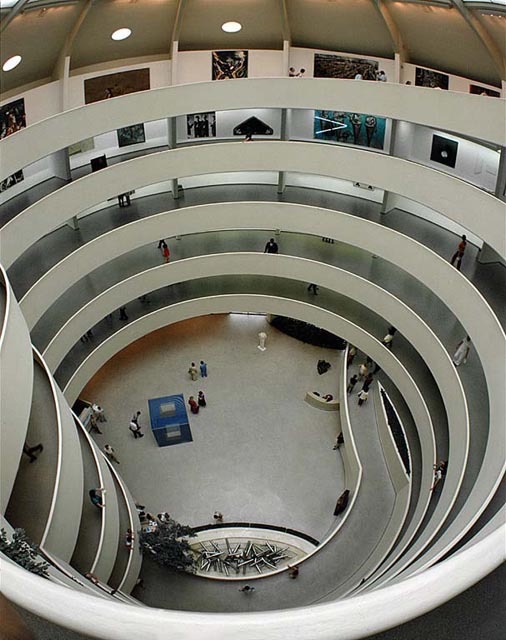 Frank Lloyd Wright’s masterpiece is one of the most unique museums in the world. Its circular design will amaze you. 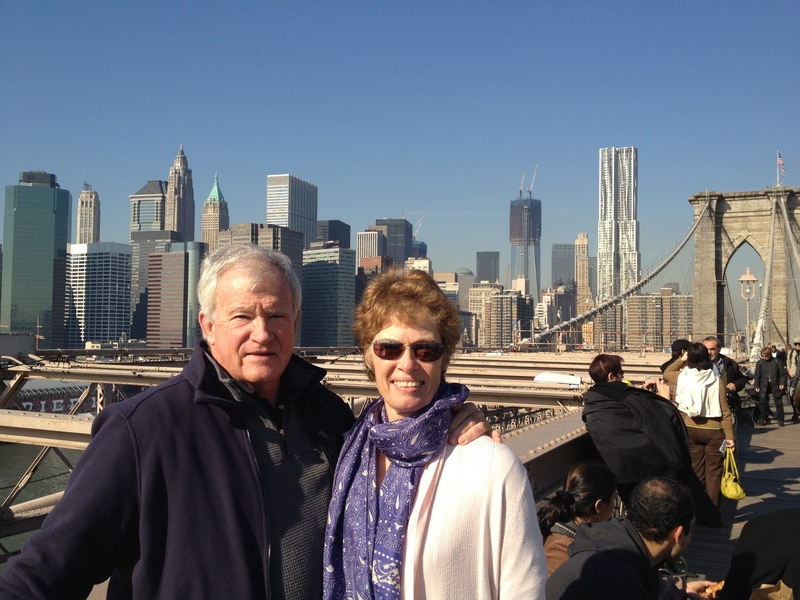 Most New Yorkers have never gone there – start asking them if you don’t believe me. I don’t know what they do with their time. The museum is located on the east side of Central Park at 63rd St. You can end your stroll in the park at that location and visit the museum. 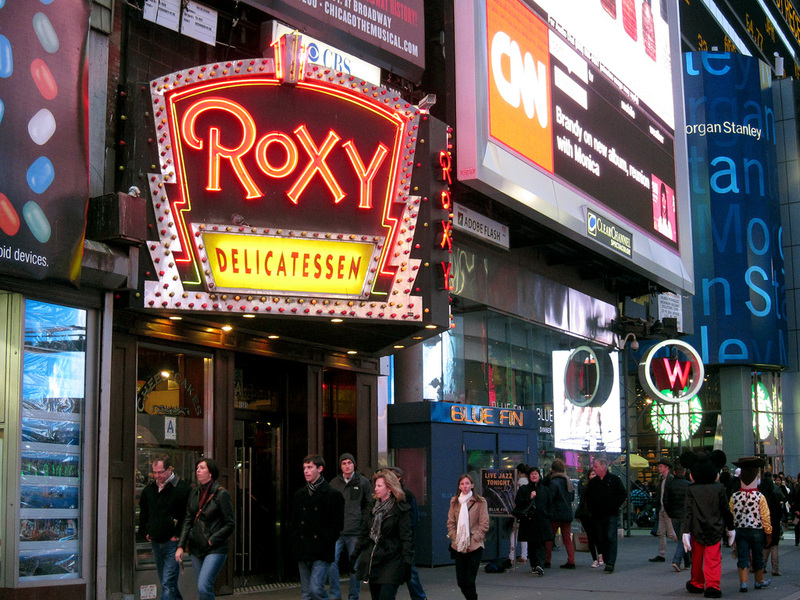 After Central Park and the Guggenheim, take a taxi to Times Square and go to Roxie’s Deli for lunch – get the corned beef sandwich and cheesecake for dessert. 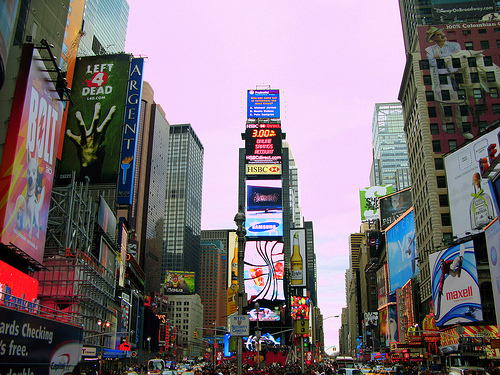 When you finish lunch, take a walk around Times Square – it will be hopping. Go into the subway station in Times Square and take the No. 1 train to Rector St., which is a block south of the entrance to the Memorial. 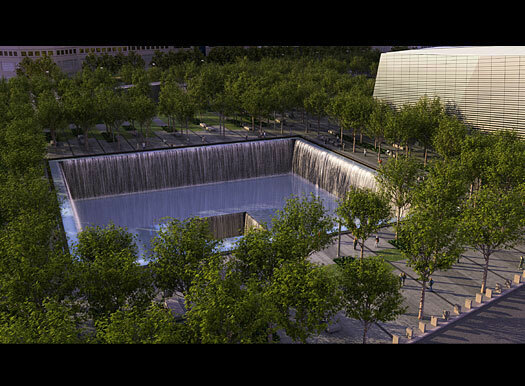 The Memorial is a must visit. Nothing more needs to be said. It is located at the far south end of Manhattan. You will need tickets or passes. Have your hotel concierge help or go on-line. They are free. 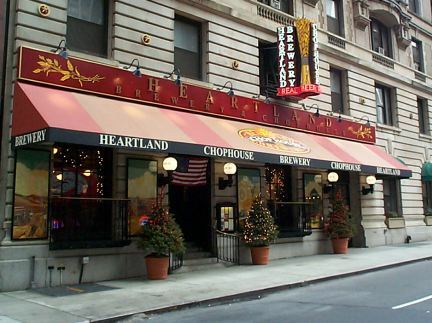 Walk from the Memorial across town to Union Square and have a light dinner at the Heartland Brewery. Walk back to your hotel and go to bed. Get up early, have quick breakfast and start heading for the Brooklyn side of the bridge – you want to be walking towards Manhattan. Take either the A or C subway train to High St./Brooklyn or the 2 or 3 subway train to Clark St. There are plenty of signs to guide you to the walkway. Built in 1883, the Brooklyn Bridge is one of the great wonders of the world, and there is a pedestrian walkway across the 2.4 mile span. Take your camera. It will take you about one hour. This walk is listed in the book, “One-thousand Places to See Before You Die”, but, once again, few New Yorkers have ever done it. The Brooklyn Bridge walkway ends at City Hall Park. You are basically in the Wall Street area, so take a left and head southeast along Nassau St. until you cross Wall St. You’ll see the NYSE. 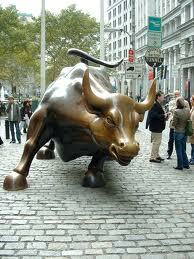 Continue on to Bowling Green Park and get a picture of the famous bronze bull. After finishing in Wall St., grab a taxi and go to Washington and Ganesvoort, which is the southern end of the Highline Park (You can also walk – it is a little over two miles). 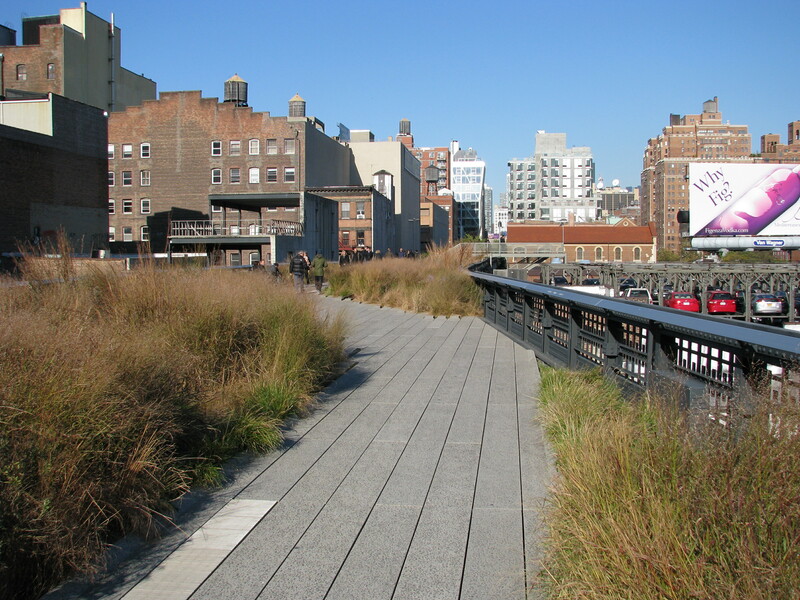 In 1999, a private group called Friends of the High Line began working on a plan to create an park on an abandoned elevated railway running from 12th St. to 32nd St. on the lower west side of Manhattan. They received authorization from the City and held design competitions for landscape architects. Construction began in 2006; the first section (Ganesvoort to 20th St.) was opened in 2009 and the second section (20th to 30th) was opened in 2011. A final section will be opened in 2013. There are entrances all along the route. It is a magnificent example of urban landscape gardening – breath-taking. It is about 1.5 miles in length and will take you a little over an hour. This is an example of a public-private partnership. The Friends and by the City shared the initial capital costs. The Friends pay for 70% of the on-going maintenance, with the City paying the remaining 30%. You are now tired and have been walking all morning. 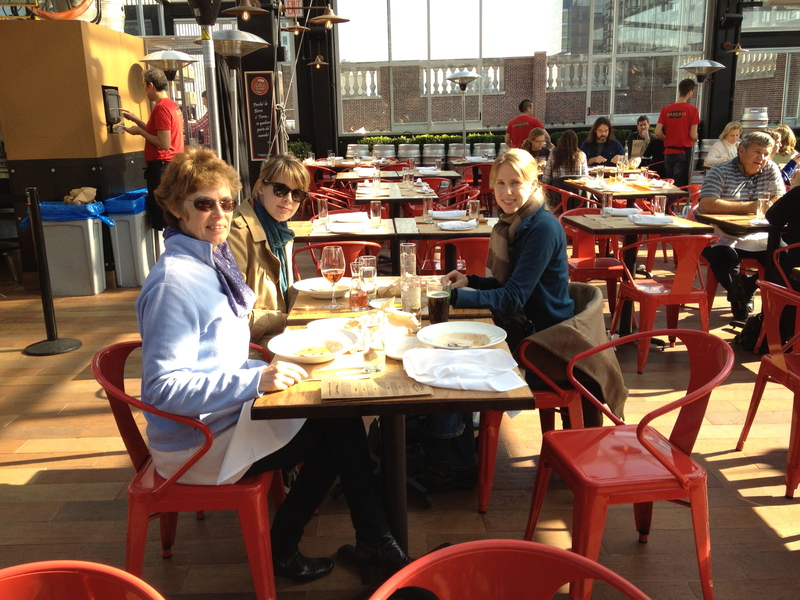 Luckily, you are a short walk from a new and crazy spot near the upper end of the High Line called Eataly. A developer bought and entire city block and put an Italian market and delicatessen on the first floor. On the top floor there is an outdoor (and indoor) rooftop restaurant and bar with a huge selection of beers on tap and wines by the glass. This is where you are headed. Walk east on 31st St. until you get to Broadway and go south to 24th St. Don’t dally, and only one glass of wine or beer because you have tickets to a musical in the afternoon. You can’t go to New York without seeing a musical. This is a truly American entertainment genre and New York is where it happens. (There are wonderful musical presentations in London also, but the true heart of this art form is New York. A little research on the web and you will find something good. 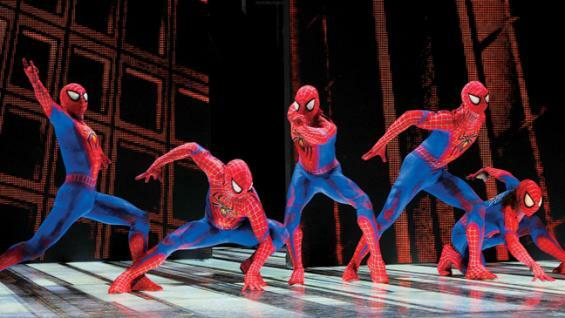 On our last trip, we saw Spiderman and loved it. Get tickets for a matinee performance since they get out at 5:00PM just in time for cocktails back at the hotel. 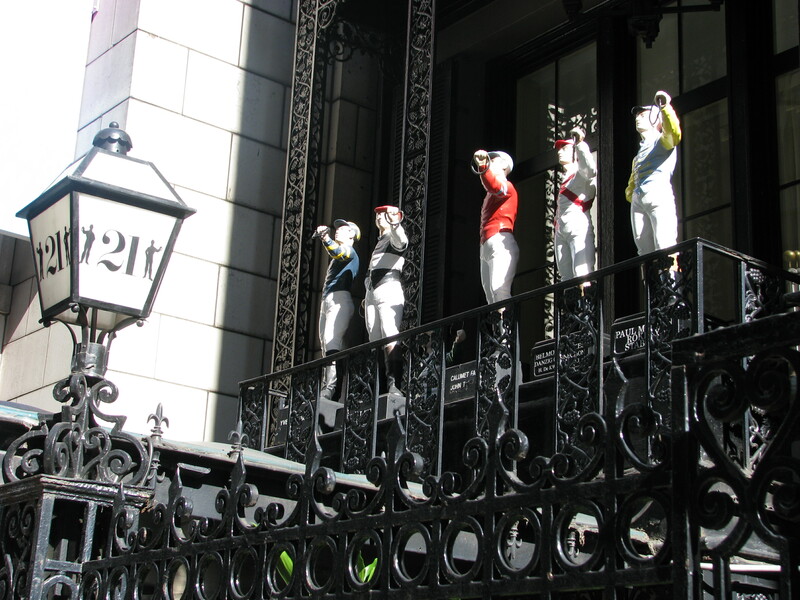 Take a shower and get out the evening clothes – you’re going to The 21 Club for dinner. I have created a map showing all of this stuff – click on My Favorite Things – New York. Play around with the map so you get used to the zooming. Also, don’t miss Street View – click on any pin, select More and then select Street View. This will give you pictures of all of the spots. I love , love , love New York! Have not been in several years. Looks like you had so much fun! My favorite posting to date!! So glad you like my town. Sorry we weren’t around to join you on your adventures. And as you know, you sampled only a tiny bit of what the city has to offer, so you’ll have to come back soon.